A singer-songwriter with a versatile guitar and vocal style that's equally effective in a crowded pub, trendy café-bar or an intimate folk club setting. His self-penned songs are distinctive and thoughtful - some upbeat, some quite dark. Some tell stories and others reflect on topics as diverse as human relationships, motorbikes and the workings of the endocrine system. He's been a semi-finalist and "borderline finalist" in the UK Songwriting Contest several times. 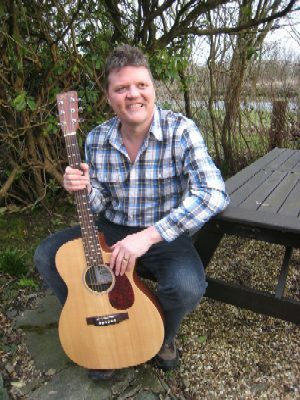 Gray mixes his own songs with versions of songs by brilliant songwriters such as Paul Simon, Steve Knightley, Seth Lakeman, Joni Mitchell, Richard Thompson... if the venue and audience is appropriate, he'll also include some more familiar songs from the likes of Elton John and Gerry Rafferty.